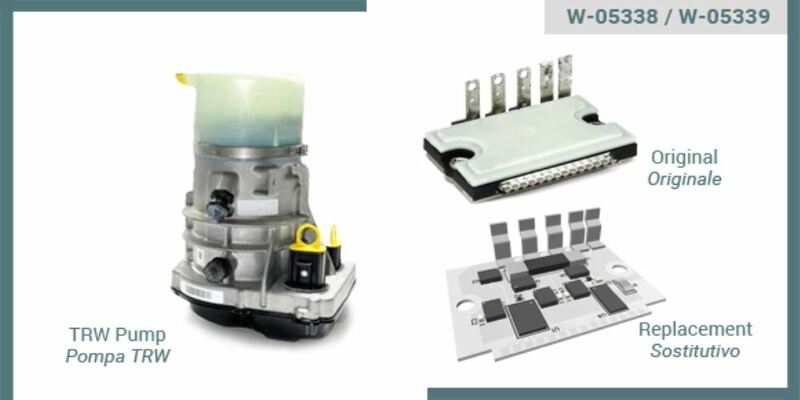 We are pleased to present the replacement integrated MOSFET modules for the latest generation TRW pumps (Ford Galaxy, Citroen C5, ...). This module, which is 100% compatible with the original, is easy to replace: to mount it uses the original screws and holes already present on the pump's body, the electrical connections are in the same position as the original module. The modules are in the final stages of development and production and there is a limited amount of samples available (currently only for the module with a white cover, p.n: W-05338). Contact us to get them, try them, and get to know this new repair opportunity!